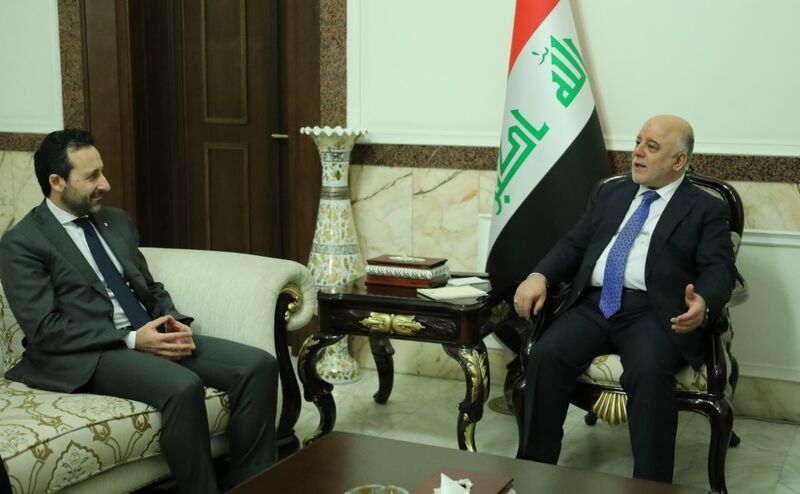 His Excellency Prime Minister Dr. Haider Al-Abadi has received, in his office Today Monday,ICRC's regional director for the Middle East, Robert Mardini. During the meeting, they have discussed ways to facilitate the mission of the Red Cross in Iraq. Mr. Mardini presented their work plan for 2018 to provide the necessary assistance and expertise to Iraq.